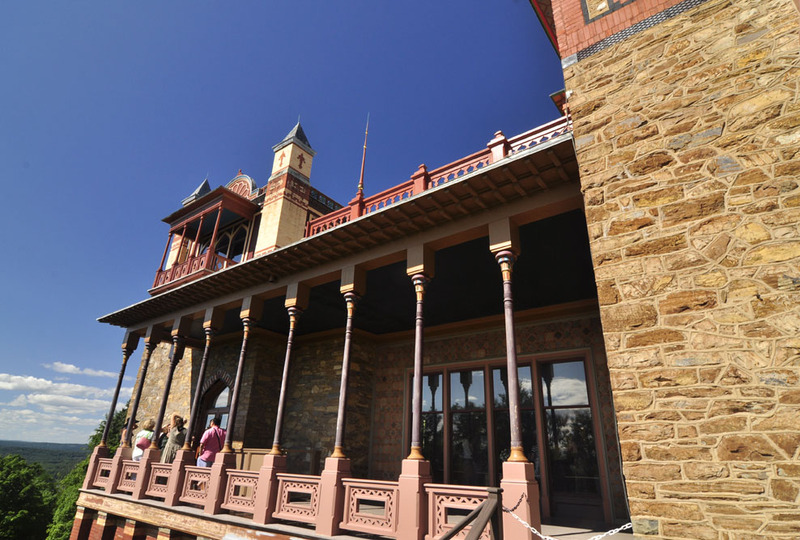 The Olana State Historic Site, the fabulous mansion and estate constructed by 19th-century landscape artist Frederic Edwin Church (1826-1900), is more than well worth the drive up the Thruway, or the Taconic State Parkway, or whatever road you choose to take to get there. Guided tours of the mansion are available. Or you can choose simply to walk the miles of trails that take you through this incredible landscape (bring your lunch; there are plenty of places to stop and enjoy it). 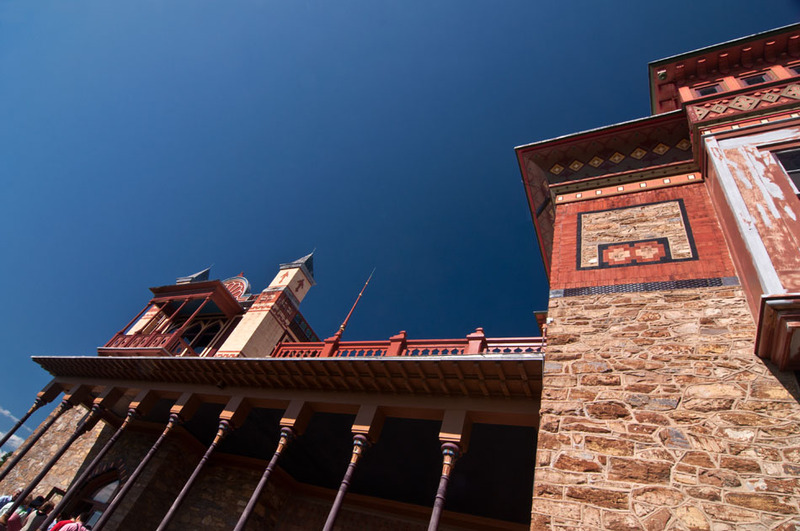 Or you may want to take advantage of the amazing variety of events organized at Olana, including the informative lectures given by experts in their various fields. Dr. David Schuyler chats with audience members after his lecture. Dr. David P. Schuyler gave one such lecture recently, on the Sanctified Landscape (be sure to check out his book by the same title!). A professor of American Studies at Franklin & Marshall College and a native of Newburgh, New York, Dr. Schuyler spoke compellingly about historical memory and the need for “tangible remains of the past” to keep those memories alive. He certainly brought General George Washington to life in an incomparably vivid fashion, especially the Washington of the final months of the Revolutionary War who lived in the Hasbroucks’ House in Newburgh and traveled down to the Last Encampment of the colonial troops near what is now Vails Gate. From history to geology–an upcoming event will feature a talk by well-known local geologist Dr. Robert Titus. Olana is easily reached off the Taconic Parkway and from Exit 21 off I-87. Check out Olana’s website where you can also sign up to receive emailed updates–and if you visit before the end of October, absolutely do not miss the stunning photography exhibit by Peter Aaron, Olana’s Dynamic Landscape, in the Coachman’s House. 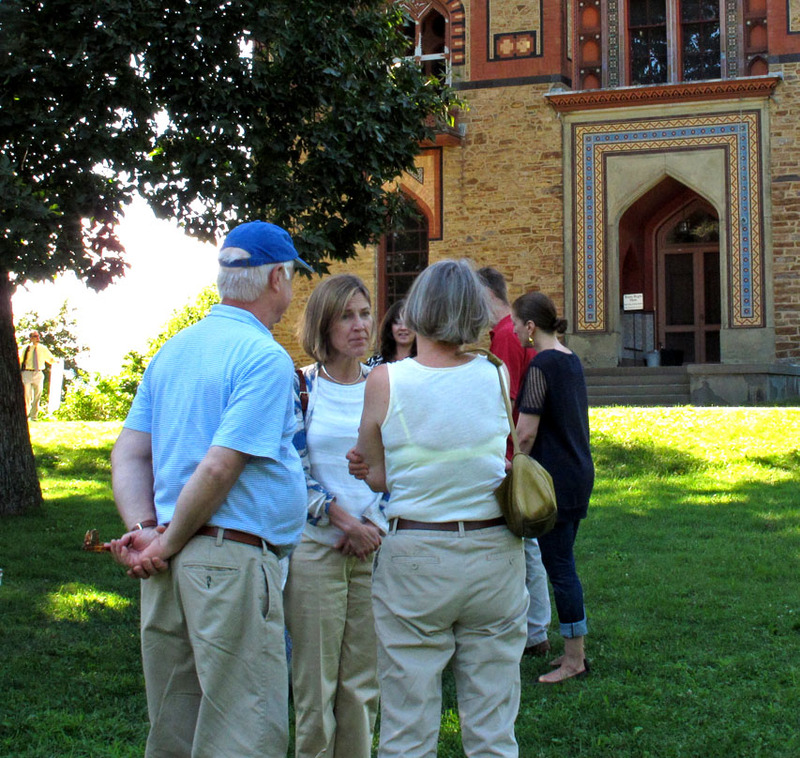 Tours of the mansion were booked solid on this gorgeous late summer day. 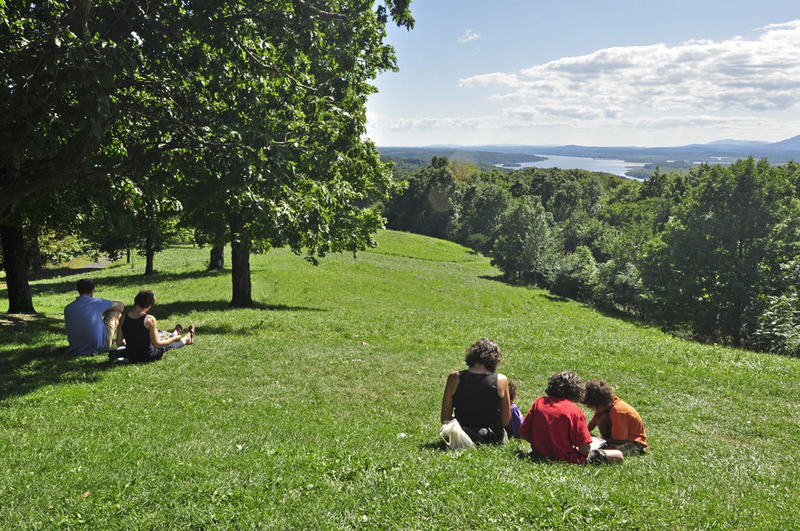 Visitors enjoy the view of the Hudson River and the Catskills from Olana’s great lawn. 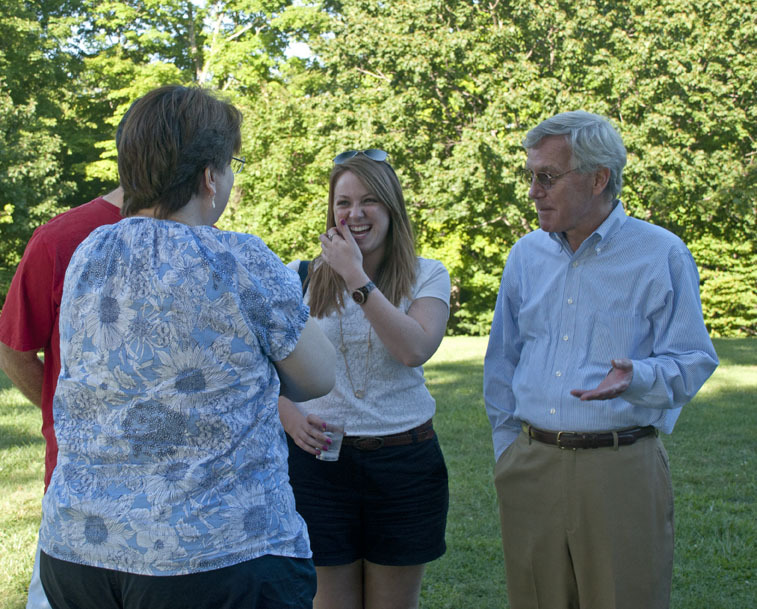 Sara J. Griffen, President of the Olana Partnership, greets visitors arriving for Dr. Schuyler’s lecture.